Tau Station citizens! You’re all kindly invited to join a video call with the team TODAY! As announced several days ago on the forums, it will be an opportunity to share feedback, ask questions and discuss with us. We’ll have a look back on the young history of the game, while also talking about future plans. So don’t miss it! Conference URL: we will share the link to our “Zoom” call on the game chat and forums, ~5 minutes before the official start. The link works until the meeting is over. 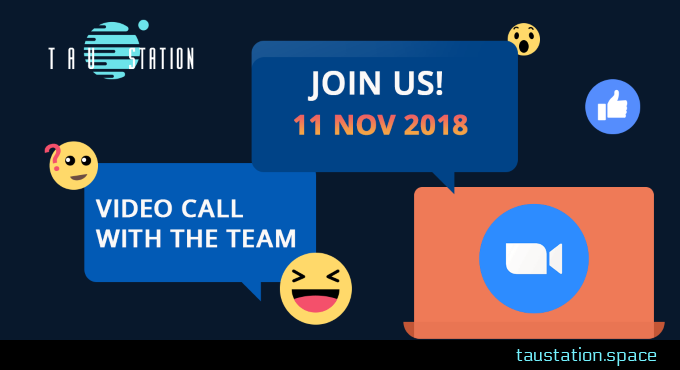 Update Nov-11 (2): The call was a great experience, thanks to all participants! We’re looking forward to talking to many of you soon!